Rachel Notley is fighting for Alberta students. Standing with parents and children in Calgary on Thursday, Notley committed to proper funding for growing enrollment in public schools, which would mean roughly 1,000 new teachers and support staff in classrooms this fall. Every year, roughly 15,000 additional students walk into Alberta classrooms. Notley said she would make sure those students get a good education, building more schools, fixing more playgrounds, expanding language programs and protecting LGBTQ youth. Notley’s promise builds on her commitment made in 2015 and fulfilled each of the past four years. While opponents promised to increase classroom sizes, Notley refused to cut corners. Alberta’s student enrollment continues to grow each year, even faster than in 2015. That's why Notley is promising to add 600 new teachers and support staff across the province annually to meet the demands. Past governments promised schools but delivered empty fields. Having already built or modernized 244 schools, Notley promised another 70 schools across the province, including much-needed new high schools like the one in north Calgary. All new school projects will get new playgrounds. Another $5 million each year will help replace 100 aging and outdated playgrounds in mature neighbourhoods, instead of relying on parents to scrape together funding. Notley is making several other commitments. In a growing global marketplace, she will created new provincial Filipino, Punjabi, Somali and Cantonese courses. The province’s first comprehensive curriculum review will be completed, updating curriculum that includes materials from the 1980s. While Notley is fighting for public education, Jason Kenney has repeatedly refused to commit to funding enrollment growth. He doubled down on this position this week. While Kenney has tried to soft-sell his commitment as keeping up the status quo, he has no plan for 15,000 students. His refusal to listen to educators says volumes about his priorities. Kenney has committed to a $4.5-billion corporate tax cut to profitable companies, a trickle down plan that economists say won’t magically fill the provincial treasury. Kenney has also promised to repeal Notley’s legislation that protects the rights of students to form a Gay-Straight Alliance (GSA) in their school. GSAs allow students to form life-saving peer support groups that provide a positive environment while protecting them from bullying. Kenney wants to undermine GSAs and put new curriculum through the shredder. 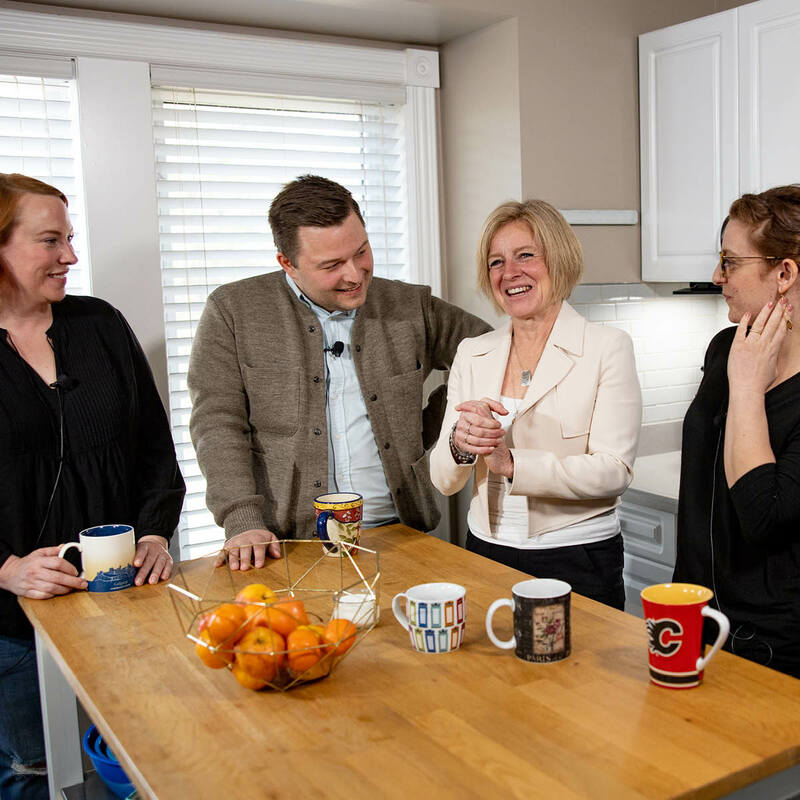 Notley says Albertans deserve more than empty promises. They deserve a Premier who will protect students in GSAs from being outed. It’s part of her promise to build an education system for the future, not one that returns to the past. “Jason Kenney would rather cut taxes for big corporations than find a single new teacher,” said Notley. “No parent wants their child to learn in a crammed classroom, and no parent believes their child’s futures should rise and fall with the price of oil."